May is usually known for its exuberance in flowers and colour. Foliage is often overlooked but don’t under estimate it! This month the freshly emerged leaves are at their best as they have not had the exposure to the ravages of the weather. Foliage is very important especially in smaller gardens as this can create great impact whereas flowers can be fleeting. As I walk around the Plant Centre and the Arboretum or my own garden at home I am always amazed by the vibrancy of newly emerged foliage. So, I thought, why not talk about this month it would be so easy to talk about things in flower but let’s look at the background and revel in it. A really beautiful suckering shrub which will tolerate a wide range of situations from full sun to dappled shade. The new growth emerges with a reddish/ bronze tinge which gradually fades to lemony-green. These finely cut pinnate leaves are topped with small white panicles of flowers in summer. It is ideal for borders and great on banks due to its suckering habit. 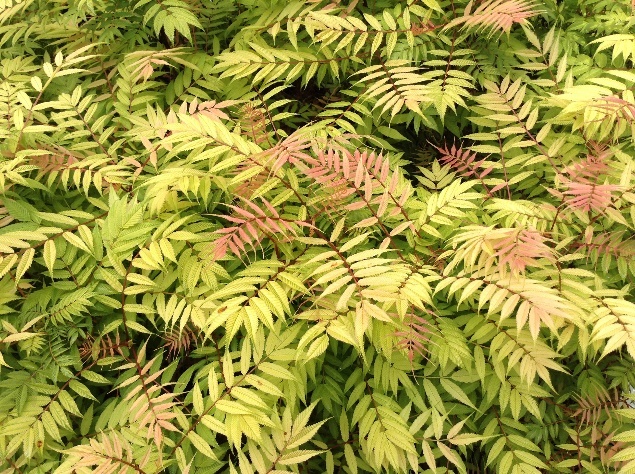 Foliage does not have to be coloured to be dramatic as with the leaves of this beautiful fern. I absolutely love this plant, it looks amazing in a semi-shaded position especially when lit from behind. It does however need a moist soil which does not dry out, but digging in lots of leaf mould or compost will help to combat this. It will sucker and move about in the garden often finding the damper areas. It looks great when combined with other dramatic foliage such as Gunnera or the bronze leaved Astilbes. 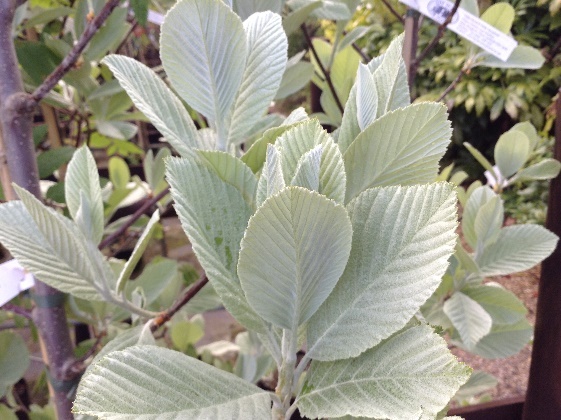 The newly emerged foliage of this handsome tree is a striking silver in colour and it makes a great addition to any garden. The felted/ hairy leaves will darken slightly as the year progresses but it always has a silver tinge. It will tolerate most soils (except very wet) and is good in full sun. Ideally suited to a shaded spot in the garden (where it will show up) and which has a moist soil that does not dry out. It can suffer in too hot and sunny sites as the leaves can get dried out along the edges. The highly scented flowers appear in May/June and these look great against the bright lemon yellow leaves. A real must for anyone with a north facing wall it’s just fantastic! 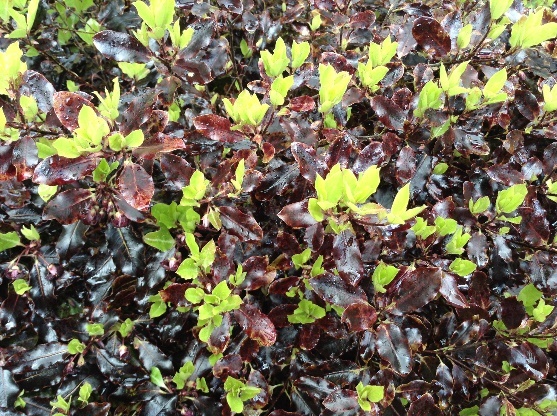 A wonderful evergreen shrub that has dark maroon purple mature foliage. 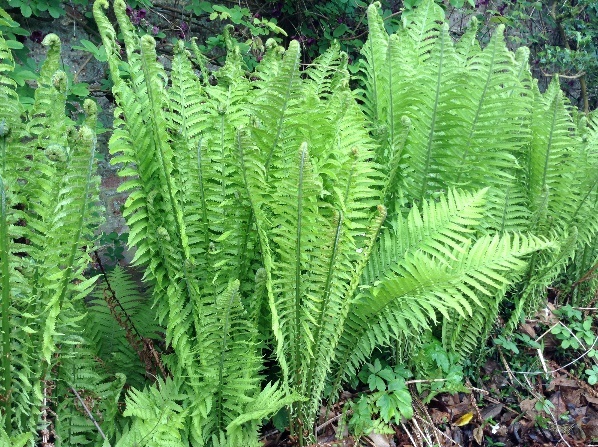 In the spring the new growth is bright green which contrasts against the mature leaves. As the new growth ages it gradually turns maroon. 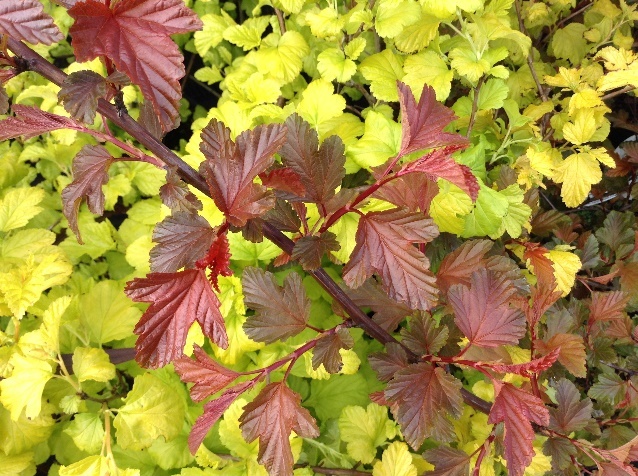 These changes in foliage colour give this plant quite a lot of interest throughout the year. It likes a sheltered site and fertile well drained soil but is ideal for the smaller garden as it only gets to about 4ft in height and spread. It naturally forms a rounded shrub therefore the need to prune it is limited making this a great shrub for low maintenance gardens. A plant that seems to be under the radar for most people and should be more widely grown. It produces attractive palmate leaves which vary in colour depending on the variety. ‘Lady in Red’ has a distinct ruby red flush to the new growth followed by small white flowers in clusters during the summer. As the foliage ages it darkens to a deep mahogany red. 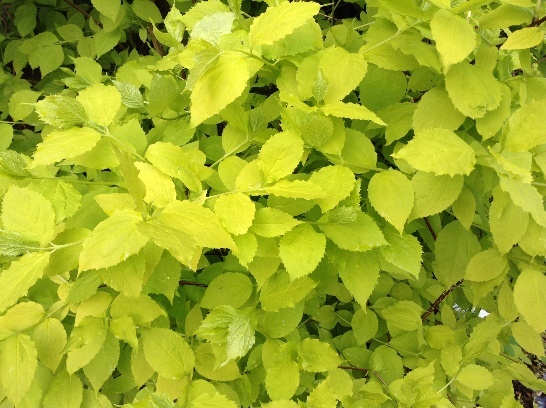 ‘Dart’s Gold’ has lovely golden yellow foliage which needs some protection from full sun which can burn it. This means that it is ideal for shady borders and especially good for north facing ones. Small clusters of white flowers are also produced during the summer. Pruning– Shrubs that have flowered already this year such as Forsythia and Chaenomeles (Japonica) can now be pruned to encourage new growth. This in turn will mean lots of flowers for next year as they will flower on the growth that is produced from pruning now. Bindweed– Now we have had some warm weather bindweed is now stretching away and climbing through everything in the garden. To try and eradicate it you need to stick a bamboo cane near to each of the twining stems and unravel them from the plant it is climbing up. Then twine it around the cane. Now you can spray it with a glyphoshate based weed killer. This way you don’t risk spraying the plant you want in the garden and have every chance of getting the spray to work on the bindweed. However you may need to do this a few times. Tuesday 9th May – Climbers and Wall Shrubs – Come and listen to Martin talk about these fascinating plants. He will have tips and ideas on plants for all aspects and soil types. Call 01206 299224 and book your place. Tickets £15.00 (RHS Members £13.00). Talk includes tea/coffee on arrival and entry into the garden. Sunday 14th May – Garden Open in aid of St. Elizabeth Hospice. 2-5pm. Cream Teas.